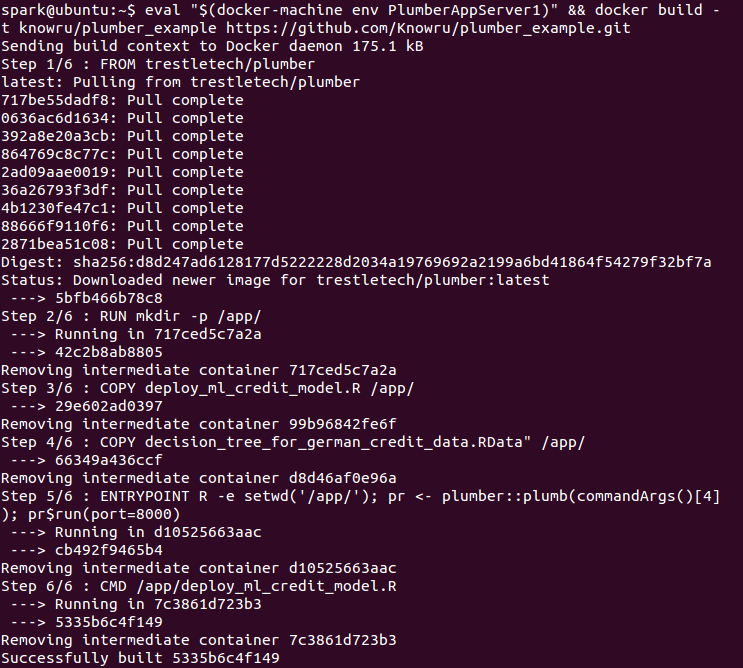 Our last post talked about scaling up APIs for R credit models using Docker. What's special about the example API was that it was running using Plumber, a native R package. That was a huge win because the R model did not have to be translated to some other language. Another big advantage was scalability - with Docker, the API could handle concurrent requests much faster (improved average response time from 0.22 seconds to 0.08 seconds). This post will further scale the R credit model using AWS (Amazon Web Service). AWS has multiple regions where we can host our credit model. Because we are based in Chicago, we will use their Ohio region, which is the closest region from Chicago. As our baseline, we will first measure speed when using one server having one container. Then, we will increase the number of containers in the server to five. Lastly, we will increase the number of servers to five, each of which runs five containers (total 25 Docker containers woo-hoo!). Let us first create an EC2 instance (a server in AWS cloud) in the Ohio region. Then, let us deploy our credit model to the EC2 instance by following the similar steps in the last post (that is, docker build and docker run). Let us see it works. Nice. Lastly, let us check the performance of our credit model in AWS. We see the following performance. So our baseline is 0.27 seconds. Let us have 4 more containers. Let us use nginx to load-balance (by the way nginx is pronounced as "engine X"). 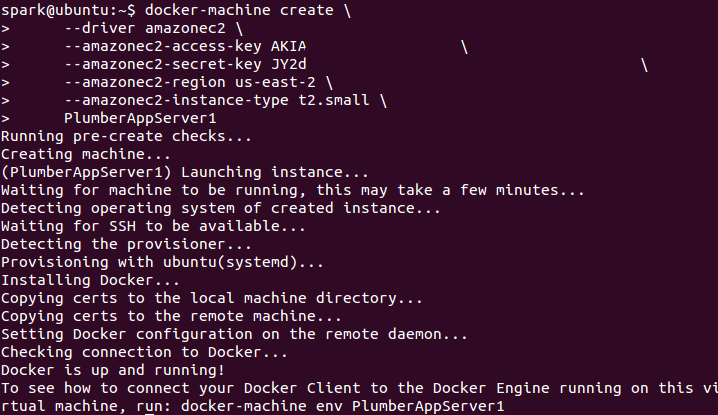 Now we have 5 Docker containers running in one EC2 instance. Let us check the performance of our current deployment. Yeah! We are seeing 33.3% improvement (the average response time from 0.27 secs to 0.18 secs). Lastly, let us create 4 more EC2 instances (i.e. servers) that have the same configuration. We can easily create EC2 instances of a same configuration using AMI. Wait for a few minutes here so that the AMI is ready. Then let us spawn 4 more servers. Because these 4 servers are based on the AMI of the server we used above, it will have our credit model Docker image available. Now we have 5 servers running the credit model but they are all independently running on different IP addresses. Let us create a load balancer (which is called Elastic Load Balancer (in short ELB) in AWS) in front of them so that we make a request to the load balancer, which will then distribute the request to one of the five servers. For more information on how to create an ELB, please refer their AWS documentation. We used their new Application Load Balancer in this experiment. Great. 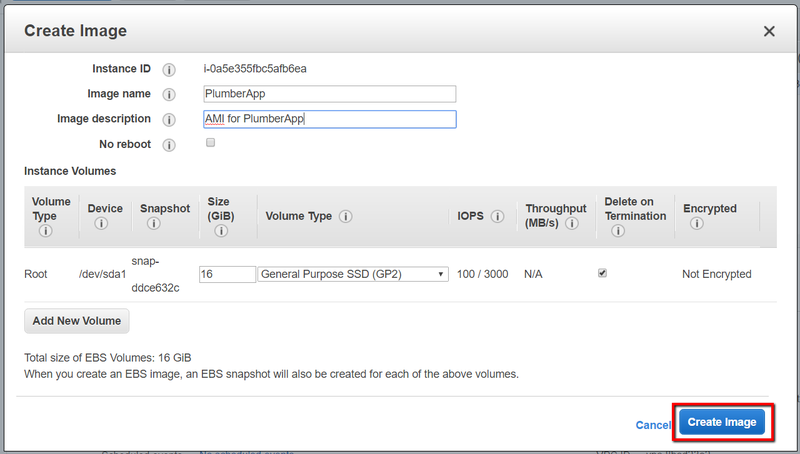 Now we can make a request to the ELB instead of to an EC2 instance to see if our deployment works correctly. We can also check using the AWS console that all servers are healthy (i.e. ready to take requests). All instances are ready to predict default likelihood! Now let us enjoy seeing how much of performance improvement we have gained. Let us tabulate our observations. Effectively, we have 25 docker containers running the credit model in our last deployment, which is quite amazing considering R is a single-thread language. First of all, there was no translation and the R model ran in an R environment. Furthermore, without any additional coding, we enabled the credit model to run in a parallel, scalable fashion. The outcome was faster and (though not specifically mentioned here) more fault-tolerant environment for our credit model.